Exhausted from watching BBC News 24 coverage of the collapse of the financial world last night, and reluctant to borrow any more shares from my local vicar in non-banking sectors to short sell, I decided not to flog up the motorway to listen to David Cameron today but to do it the easy way and wait for The Blue Blog to send me an email. So, I report to you tonight, from the Boat, a glass of Rioja to my right and a pack of Britain’s finest woodbines to my left. The Blue Blog Email arrived about fifteen minutes ago. David, I was told, “promised that we will do everything possible to help the Government protect our financial security.” I listened to his unscheduled speech. He wants to get a couple of things straight – I paraphrase….. we must not let anger cloud judgment, easy to see why people are pissed off with bankers who come to us to bail them out… will be a day of reckoning…. but not today. Must do everything we can to protect the stability…. and then a huge amount of clapping. Today is a day for safety, security and protection. Cameron then, perhaps succumbing to omnipotence, told us that he would always do the right thing to protect our future. This was a man or woman, a lifelong Tory, proud of his party but either to thick to write his or her name or who perhaps does not wish, yet, to be identified as one of the faithful publicly. I enjoyed the use of the greeting “Sir”…. perhaps the writer recalled the good old days of fagging and the lash…. who knows? but his words appeared on the page to have come from another era in terms of the style of writing. There is a hint of this when the anonymous writer goes on to say “The British are a nation still of famously long suffering but, they possess an inherent, almost in-born sense of fair-play.” I could almost see Tom Brown smiling approvingly. Labour may do the Hovis metaphor well… but you have to hand it to The Tories… their new website and blog is slick… and the smooth looking photographs of Osborne and Cameron, subtly hinting at efficiency and the demeanour of those born to rule, is more Eton Boating Song than Keith Allen’s song ‘Vindaloo”. It was at this point that my eye was caught by the words on The Blue Blog… “Show your support Join the Conservative Wall.” I just had to click the link... and while things are bad under labour (I have always voted Labour)…… I began to feel a shiver down my spine… it was not one of patriotism or new found zeal… it was one of pure horror at what may come to be. So… on that note, as I don’t need to sit on a train getting pissed on my way back from Birmingham… I shall bid you goodnight and spend a little time with my cellar as the tide comes in. This is Charon, reporting on Day Two of the Tory Conference, from The Boat. Dow Jones -777 points down…. VOLATILE!!…RECORD!!! I didn’t have much to do tonight so I thought I would go on BBC News 24, waffle a bit, as BBC News 24 have been doing for much of the evening, and try out my new ‘George Osborne Serious’ look. The US has rejected the $700 billion bail out. I just had to watch BBC News 24. There was a lot of waffle on News 24 and hushed tones from the autocuties (male and female) and much watching of Dow Jones points falls and heavy breathing. We had a cameo appearance from George Osborne, looking remarkably relaxed, saying that we needed to ensure that those in the UK earning £12,000 or £20,000 do not subsidise those earning bonuses of £2 million. Osborne expressed the view, in a wonderfully languid, non-committal, confident, public school way, that Congress would need to reach agreement. Then we were taken back to the hyperventilating newsreaders to watch some film showing someone standing around waiting to ring the bell to bring an end to trading at the ‘top of the hour’. Cyclops came on to tell us that he was disappointed, looked serious for a while, and then we were taken back to listen to some more American pundits. The BBC cut the US commentator to take us over to David Cameron, looking ever more like the Pilsbury Doughboy, and Cameron, also trying out the new concerned bipartisanly serious look, said that he would work with the government….. and then, I am afraid… I had to check Rioja prices worldwide… and lost interest in what Cameron was saying. I did flick back to hear that George Bush is disappointed…He said: “The plan was big… because we have a big problem”…. I wasn’t asked to stay for very long by the BBC…. maybe they realised I shouldn’t really have been on TV tonight… a bit like that wonderful African taxi driver who was wheeled onto News 24 in error and ended up giving us an opinion on intellectual property and Apple. I bid you goodnight. Gordon Brown is taking ‘decisive action’… and so am I taking ‘decisive action’. I am going to drink some Rioja… decisively. PS: Hank Paulson is looking cream krackered. I report today from Britain’s second City, Birmingham – a city almost unknown outside of its own city limits – to report on the gathering of the Tory faithful. For two years now Cameron and his band of merry Etonians have been able to sit back and watch as Labour digs itself deeper into the merde and enjoy a 20 point lead over Labour – albeit cut back to nine points after Brown’s speech last week. Now, even The Sun (in an article written by the great spinmeister Alastair Campbell, is demanding that Cameron shows us the political money – and tells the 4 million + Sun readers what The Tories stand for and how they will run Britain. And William Hague has decided that he is like Bruce Willis. The Sun reports “The ex-Tory leader said he could double for the Die Hard actor as he said the Conservatives would be “tougher” on criminals. But not to be outdone … apparently… David Cameron had been likened to a “young John Wayne” in a poll by the Sunday Telegraph yesterday. So…. so far, nothing of any substance from the Tories… but George Osborne… according to The Telegraph will say (and may already have said, but I was not listening attentively enough as my eye was caught by my picture looming over Osborne in the conference hall) quite a bit. Mr Osborne, the shadow chancellor, will blame Labour for encouraging people to run up “more than a trillion pounds” of debt, without pausing to consider what would happen when credit dried up. He will vow that the Tories “will make sure that this mess never happens again…. Mr Osborne will warn that “the party is over” and promise to end the country’s “dependence on debt”. That is all for this first report from Birmingham. I won’t however, be going to the Lap Dancing Club in Birmgham featured on Guido Fawkes’ blog – a banner over the front door proclaiming” the ROCKET CLUB welcomes the Tories. There’s nothing conservative about us”. This is Charon, about to nip off and have a balti, from Birmingham. I write, on this day of our lord, from the boat – amused to learn that The Church of England has been accused of being involved in ‘short-selling’ – a wonderful irony after the ludicrous intervention of the two archbishops last week accusing short sellers and Lloyds TSB et al of being “bank robbers and asset strippers”. The initial story moved me to dress up in the kit and report from “Lambeth Palace” – but I was moved on by a freelance exorcist. It appears that declared short sellers accounted for only 2% of share sales. Fat Bigot has an amusing (and informative) view on the concept of short-selling for those who are unsure what short-selling is. I have just read it. This weekend has been most unusual. I met with White Rabbit in “The Pig’s Ear” in Chelsea – a deliberate choice of venue given the way UK PLC seems to be going down the pan. Also, it has to be said – a very conveniently located establishment to The Boat. White Rabbit is, as regular readers will know, a barrister, published author and a law blogger who manages to avoid writing about law on his blog. A man after my own heart. A thoroughly enjoyable evening – despite the problems caused to WR by London’s transport problems this weekend. The government, in a belated return to socialist principles, has decided to nationalize yet another failed bank. (BBC) This time it is Bradford & Bingley. As I assume that readers have access to newspapers I shall take soundings on this not from the fourth estate but from the world of the bloggers. To borrow (and alter slightly) the aphorism of F.E. 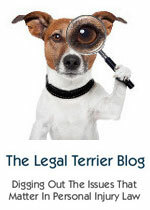 Smith, barrister and Lord Chancellor, “I am better informed….but none the wiser” after reading Mr Barnwell’s fascinating post on The Blue Blog. Be sure, I shall be going to Birmingham, for only the second time in fifty years, to bring you a report on what the Tories are saying. It is curious though, that for our second City, there is very little coverage about Birmingham in the national press or television. I do recall, some years ago, that a soap opera called CrossRoads was set in Birmingham. I can’t remember watching it that often but I do remember some fat bloke in a beanie hat who was a bit simple called Benny being one of the characters. And who could forget Amy Turtle and Meg Richardson? I shall log on to Wikipedia and find out more about Birmingham before I go there to report. RollonFriday.com, normally a place of cheer and amusement, finds itself reporting on redundancies and Minter Ellison lawyers nicking meals this week as the credit-crunch bites. I report today from outside Lambeth Palace in London, home of The Archbishop of Canterbury. I used the bridge to cross the river as I didn’t think walking across the river itself would be looked upon that favorably in these circles. Today two of our most senior clerics have been doing their own bit of chasing the money-changers out of the Temple. As I look about me, at the splendour of Lambeth Palace, when I consider the history of religion in this country, the wealth, the control by the Church in times past over a repressed people I cannot help but marvel that the Banks are being chastised. Next we will hear that the Archbishop of Canterbury will be instructing brokers not to short any shares if the Church of England holds stock……. hang on, just a moment…I stand corrected… the studio is telling me through my earpiece that the Archbishop does not want any short selling of shares where the Church has an involvement. Grateful to fellow blogger May Contain Nuts for alerting me to story in Guardian revealing that Church of England were into short selling in unbelievable financial markets as well as the general unbelievable stuff they are in to. Wonderfully ironic…. but…. entirely consistent with Church practices going back over centuries. Bank robbers? I was rather busy on Friday doing work – and then I had to go to a very demanding wine tasting. As a result I did not have time to read all the papers on Friday.